Every spring we get suckered in. Bradford pears are indeed beautiful. The spring flower display and fragrance is delightful. Then we get impressed again in the fall when the autumn color does its performance. It’s the time in between when the problems show their ugly faces. 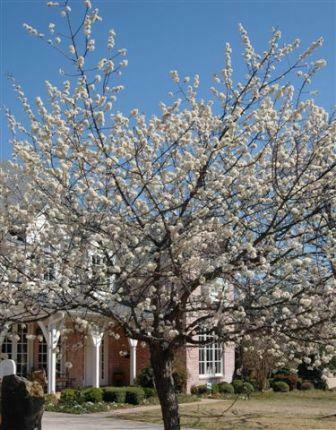 These ornamental pears have a built in weaknesses. They are susceptible to root diseases, especially when planted too deep in the ground and fertilized with synthetic fertilizers. The fall color is usually good, sometimes great. The problem is that the tree has some very serious built in problems. Here’s the basic information about this. At the end I will tell you the only way it should be used. HABIT: White early spring flowers, red fall color. Upright, very symmetrical small tree with stiff, tightly upright branching. It is a very short-lived tree. CULTURE: Easy to grow (for a while) in most well drained soils with normal water and fertilization. 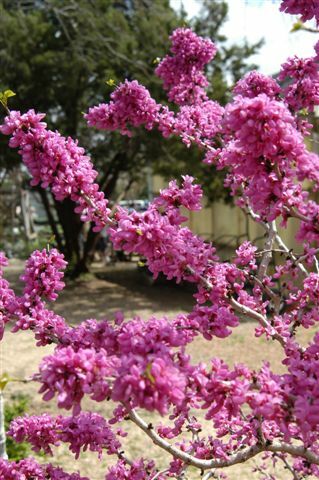 USES: Specimen ornamental tree, spring flower color. It has been overused as a street tree. PROBLEMS: Branching structure is upright, tightly pinching and subject to wind damage. It is also highly susceptible to soil borne diseases and is a favorite hang out for grackles and their mess. 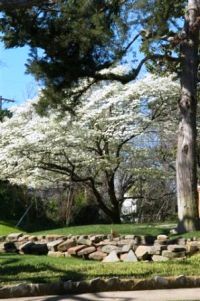 To make it worse, most of these trees are planted too deep in the ground and have yellow chlorotic leaves in the summer. NOTES: ‘Aristocrat’ is a cultivar that has a more open branching structure and long, drooping leaves. 'Capital’ is a good narrow growing cultivar. Callery pear, the mother plant of these cultivars, is a better choice but very hard to find in the nursery industry. It has some thorns but they aren’t a big negative to me. Back to Bradford; how should it be used? Consider it a big, short lived perennial and enjoy the color while it lasts. 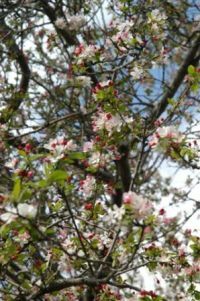 To get the most out of any existing Bradford pears you might have, apply the Sick Tree Treatment with the first step being root flare exposure. That’s because almost all ornament pears have been planted too deep in the ground. 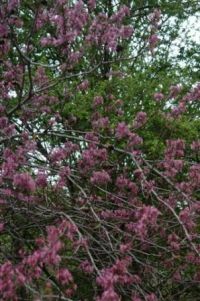 Better flowering tree choices to consider include Mexican plum, Mexican buckeye, redbud, dogwood, and crabapple.